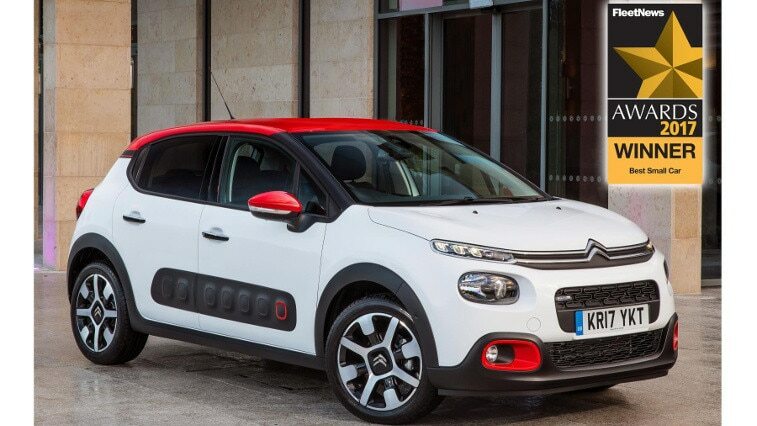 New Citroën C3 has won over the judges at the Fleet News Awards. The latest addition to the Citroën range has just been named Best Small Car 2017. Launched in January 2017, New Citroën C3 has already collected its third award in the UK, sweeping the competition aside to become the Best Small Car in the 2017 Fleet News Awards. Best Small Car in the 2017 Fleet News Awards is the second fleet honour for New Citroën C3. Previously the car was named Supermini of the Year in the Contract Hire and Leasing.com Awards 2016/17. In addition, it scooped the ‘Best Urbanite’ title in BBC Top Gear Magazine’s ‘Best Cars in the World’ issue in November 2016.